Rainfall in 12 hrs ended 8.30 pm Monday ...Mumbai colaba 24 mms, Vagaries 23 mms, Scruz 0 mms. Bhokar 102 mms (Nanded Dist), Himayat Nagar 97 mms, Nanded with 60 mms, Umari and Hadgaon 55 mms, Ashti ( Beed) 38 mms, Kallamuri 19 mms. In Latur District, Nilanga got 37 mms, Latur got 34 mms, Chakur 12 mms. and Parbhani 12 mms. Umerga (Osmanabad) got 51 mms and Lohara 46 mms. The UAC moved towards Vidharbh/Telengana and then towards M.P. before dissipating. This dragged the South West Monsoon into Vidharbha. The west coast trough showed some strength on Saturday and Sunday, bringing in good rains to Madhya Maharashtra (South) and North Konkan. Monsoon also advanced upto Dahanu. The moving system also brought some rains in Eastern areas of Gujarat. Monsoon into Mumbai: Mumbai received some sharp showers on Sunday evening. By 8.30 pm IST, Colaba had measured 22 mms and Scruz 26 mms. Vagaries recorded 35 mms. So, by Monday morning Mumbai may get the estimated 35-40 mms forecasted. Monday and Tuesday will be cloudy, with some showers. Rainfall amount will be around 25-30 mms /day. Good rains expected in North Marathwada (Aurangabad) and Nasik regions next 2 days. Showers in West M.P. and reducing rains in Eastern region of M.P. Increased rainfall in Kathmandu and Western Nepal from Monday for 3 days. Sir, what about Valsad and south Gujarat? Any heavy rain forecast for Pune? 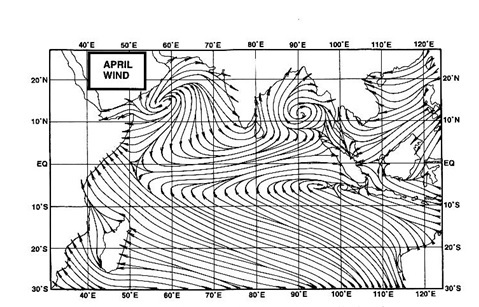 Rajesh sir- even though El Niño has ended why are we not seeing the low pressure areas in BOB?? Rajesh sir,with this pace ,do you think Mumbai will be able to cross its monthly average (june) of 523mm?Will north konkan and mumbai get heavy rains with merely 10days remaining for june's end?you forecasted excess of 10%in jun-jul.please tell when would our region get bounty rains in next 10 days.please answer. Sir, Nothing significant here in pune till now. Few drizzles. When can pune expect good rains? Can you please share your views on next UAC which may get developed in few days. Will it have good impact on pune and ghat sections? Ghats sections are also not yet in their usual behaviour yet. Hoping that it rains heavy in north konkan as well in coming days. Navi Mumbai non stop torrential rains entire night - must be crossing classical 3 digit figure! Sir mumbai recorded torrential rains monday overnight,scz-106mm,colaba -61mm till now.whats your forecast for mumbai and north konkan.its absolutely dry in pen,nagothane from monday morning till now and mumbai getting heavy rains. Recent observations and climate model forecasts continue to suggest La Niña may develop in the coming months, hence the Bureau’s ENSO Outlook remains at La Niña WATCH. This means there is a 50% likelihood of La Niña developing during the second half of 2016. If La Niña does develop, climate models suggest it is unlikely to reach levels seen in the most recent event of 2010–12, which was one of the strongest La Niña events on record. Warm ocean temperatures to the north of Australia, in the Indian Ocean, and in the Tasman Sea, are also currently influencing Australia’s climate. Warm ocean temperatures surrounding Australia provide more moisture to weather systems that pass over the oceans and potentially change the path weather systems take, resulting in more systems reaching the continent. Both JAMSTEC and Australian Agency have forecasted negative IOD , which in turns means a drier monsoon for the western coast . Rajesh Sir, Based on your experience , how much important is IOD for monsoon for Konkan and western maharastra, are the signs bad from an overall monsoon picture ?